Students have just a matter of days left to take advantage of Microsoft's 'ultimate steal' deal to get a copy of Office Ultimate 2007 for £38.95. The popular deal – which gives students the chance to get the entire Office suite for less than 40 quid – is expected to terminate on 26 June. 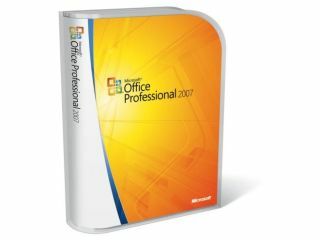 Office Ultimate 2007 not only includes Word, Outlook, PowerPoint, Excel but also the likes of Infopath, Publisher, OneNote, Groove and Access. To qualify for the Microsoft Ultimate Steal Deal for Students, you must have a valid email address at a UK educational institution and must be either be enrolled on an undergraduate or postgraduate course, have at least 15 hours of scheduled contact time per week or be a member of staff that teaches for four weeks. Whichever way you look at it, £40 for Office Ultimate is not a bad deal, so if you are in education then you need to trade in your baked beans stock to get the cash fairly quickly.